Codecasa&apos;s 42 Vintage series brings owners&apos; high expectations in line with the aesthetics of an age gone by. 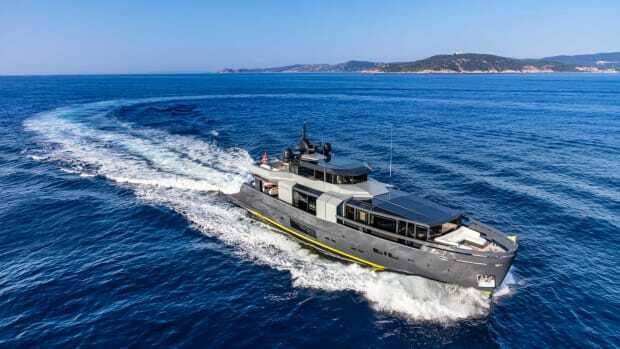 Whereas other superyacht builders are apt to shout about their new products, the family-run Codecasa company in Viareggio, Italy, prefers to whisper. This low-key approach is in direct contrast with the high-profile status of many of the builder’s clients, such as Prince Albert of Monaco, Giorgio Armani, Domenico Dolce and Stefano Gabbana. On the other hand, such restraint may be the very reason celebrity owners are so enamored of the brand. Hull F75, the second in the 140-foot (42.5-meter) Vintage series, mirrors Codecasa’s discreet approach to yacht marketing by choosing classic simplicity over vulgar ostentation. 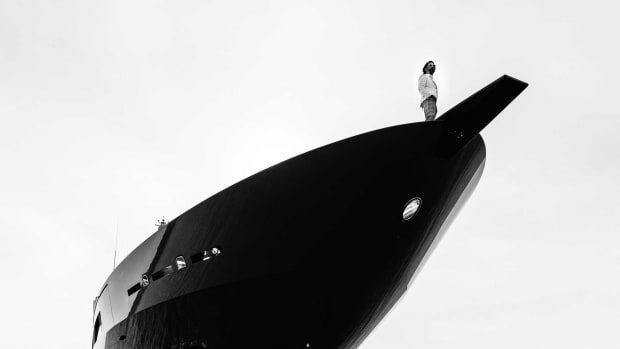 Speaking of economic uncertainty, Codecasa is one of the few shipyards in the world today prepared to complete a superyacht on spec without a signed contract—an indication of its supreme confidence in its product. 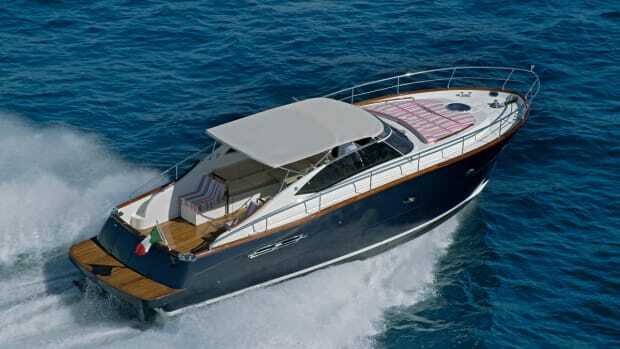 This was the case with both Hull F75 and her predecessor, Magari, the first in the Vintage series. 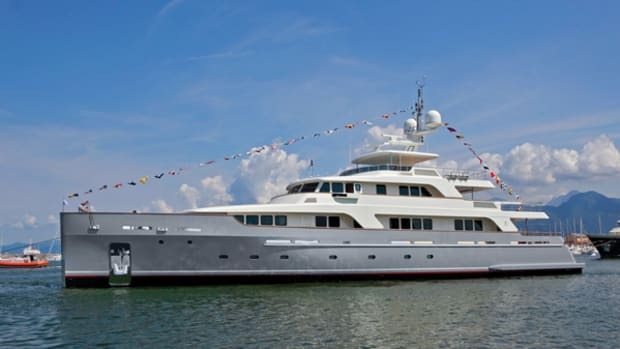 This doesn’t seem to faze the shipyard’s patriarch, Fulvio Codecasa, and his family, who are happy to finish the interior to their own tastes and use the yacht for a season or two before a buyer comes along. In the case of Hull F75, launched last summer, these tastes are soberly elegant to complement the exterior styling. 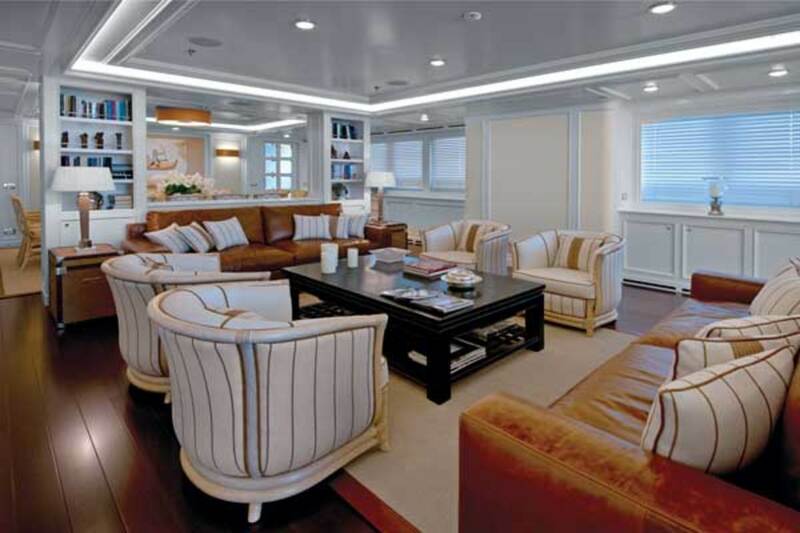 The interior design, based on white-painted joinery, Carrara marble, Majilite fabric wall panels and a mahogany parquet sole, is by architects Anna Maria and Franco Della Role, who work exclusively for Codecasa when it comes to yacht projects. Bold artwork commissioned by Fulvio Codecasa punctuates the muted color scheme. 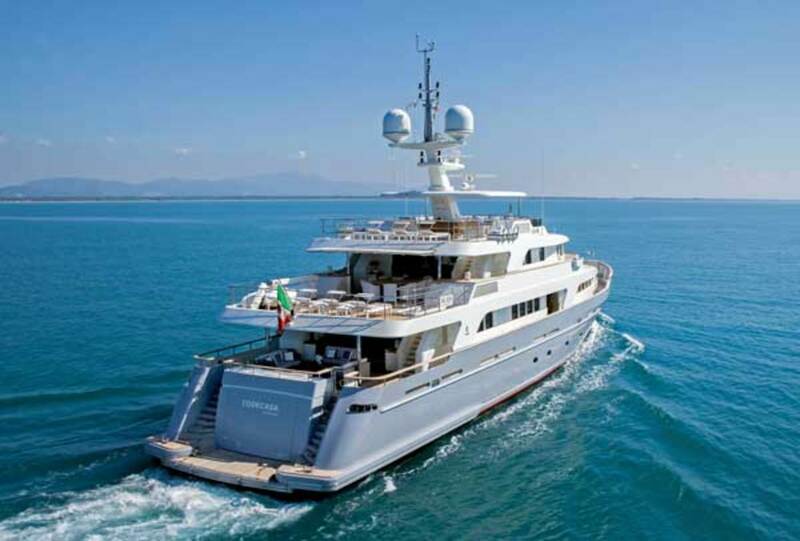 As luck would have it on this day, Magari (launched in 2011 and owned by another prominent Italian entrepreneur) was moored at the Codecasa dock while undergoing warranty work. 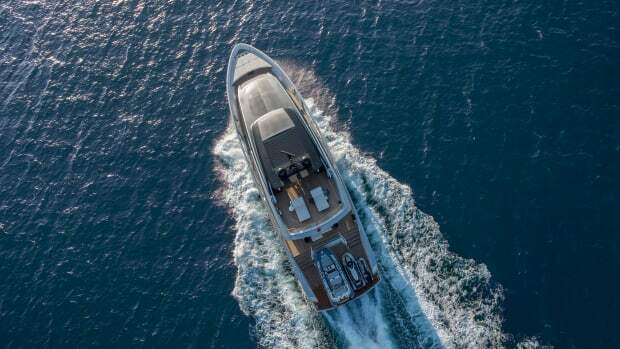 This provided an opportunity to go aboard both yachts to observe how the semi-custom series has evolved and can be adapted to owners’ individual requirements. A significant practical—as opposed to an aesthetic—difference can be found in the galley layouts. 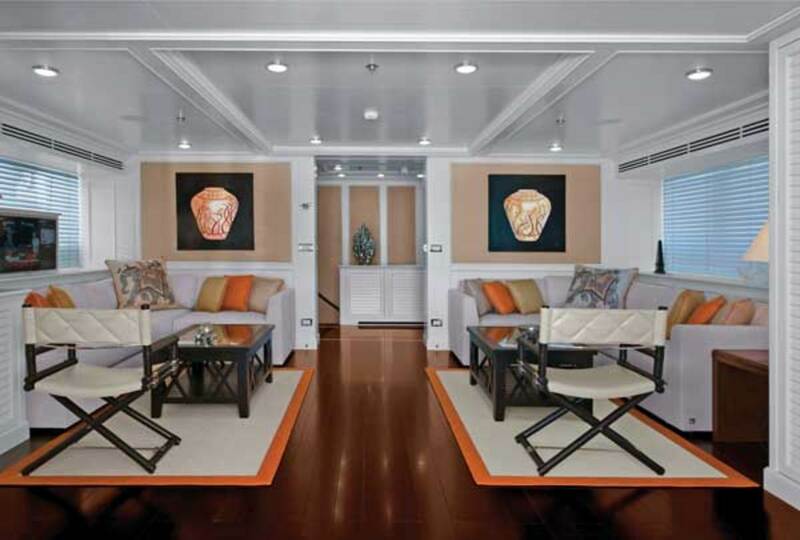 The first yacht, which won a Nautical Design Award for her interior, features a door from the galley so crew can directly access the corridor leading to the owner’s suite on the forward main deck. This may have been a convenient feature for servicing, but it limited the space available for kitchen equipment. 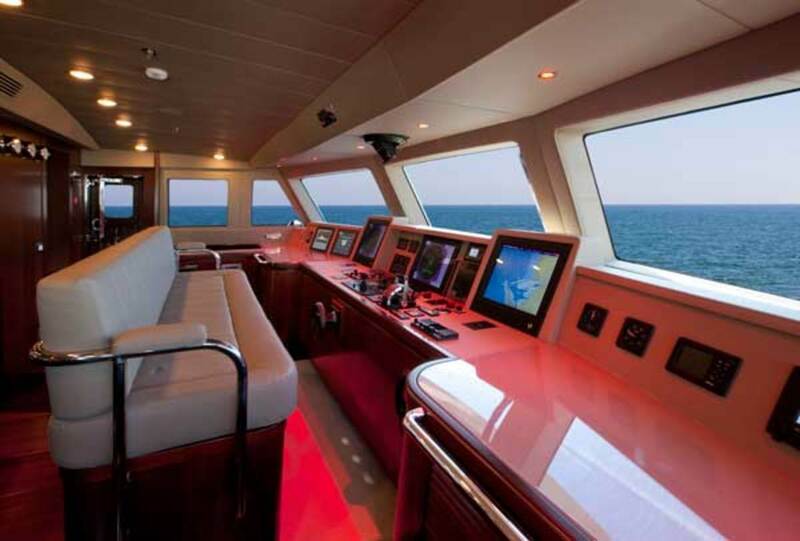 On Hull F75, it has been done away with to improve the functionality of the galley and provide space for a larger pantry serving the dining room. Another variation appears in the upper deck lounge. 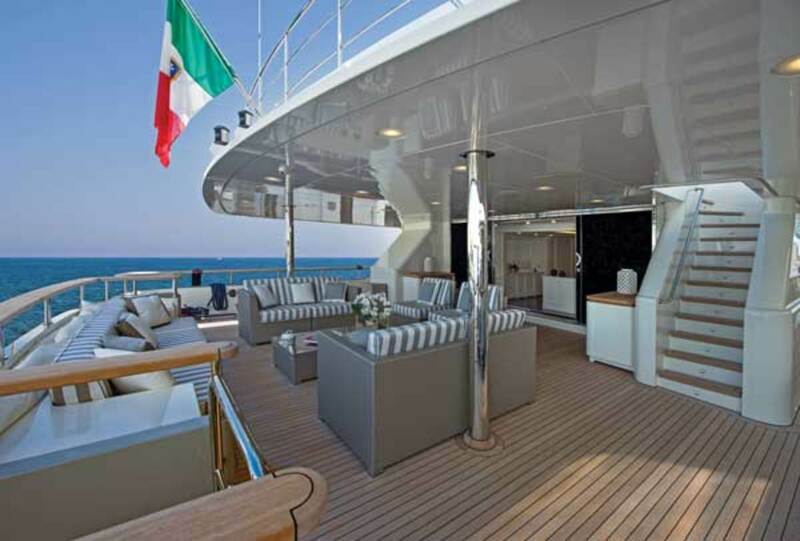 On Magari, the sky lounge is shortened to provide a semi-open, air-conditioned “conservatory” space on the aft deck, with teak decking that continues into the lounge to blur the distinction between interior and exterior. On the second hull, the sky lounge has resumed its original proportions, but still leaves space for 12-person dining on the open aft deck. 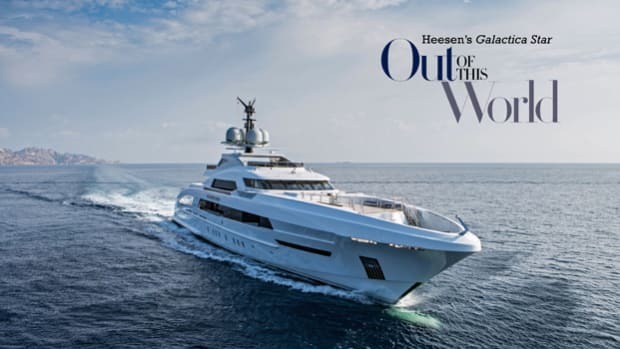 An added detail is the two bench seats molded out of the engine room ventilation cowlings on either side of the aft deck—a simple solution that makes good use of an obtrusive, but necessary, technical feature. 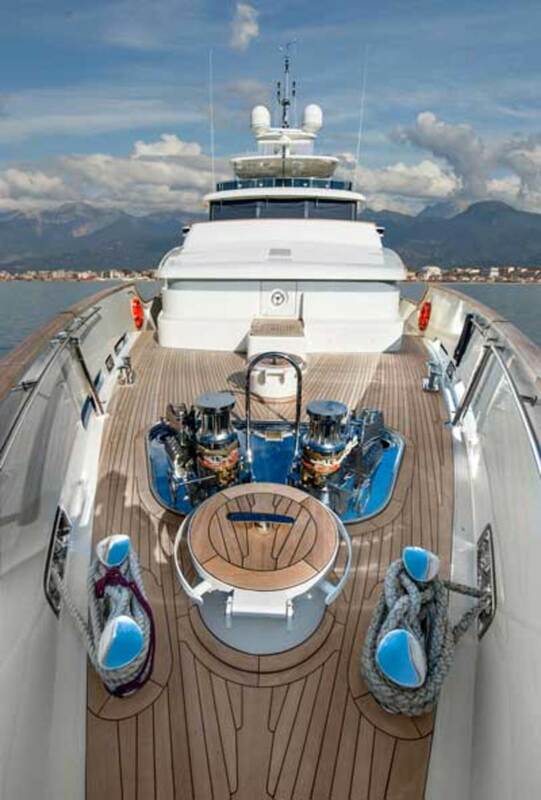 In the engine room, the equipment specs are unchanged, but on Hull F75 the hydraulic pumps for the zero-speed Quantum stabilizers have been relocated farther away from the bulkhead adjoining the aft guest cabins to reduce noise. 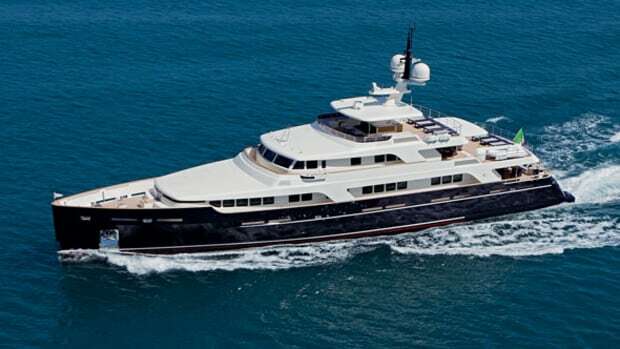 When anchored, with generators and stabilizers in operation, Hull F75 has noise levels of less than 40 decibels in the guest suites, according to the yard. These and other design tweaks are being introduced as the series develops. 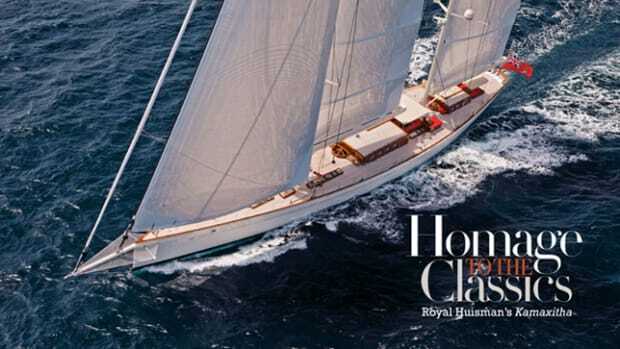 A third 42 Vintage in build, for example, extends the owner’s suite on the forward main deck into a full-beam cabin. One consequence of the retro exterior styling is that windows are quite small by modern standards, especially in the owner’s suite. So on a brand-new 164-foot (50-meter) edition of the Vintage, also under construction, the windows have been increased in size and the exterior bulwarks lowered to provide more natural light and better sea views. 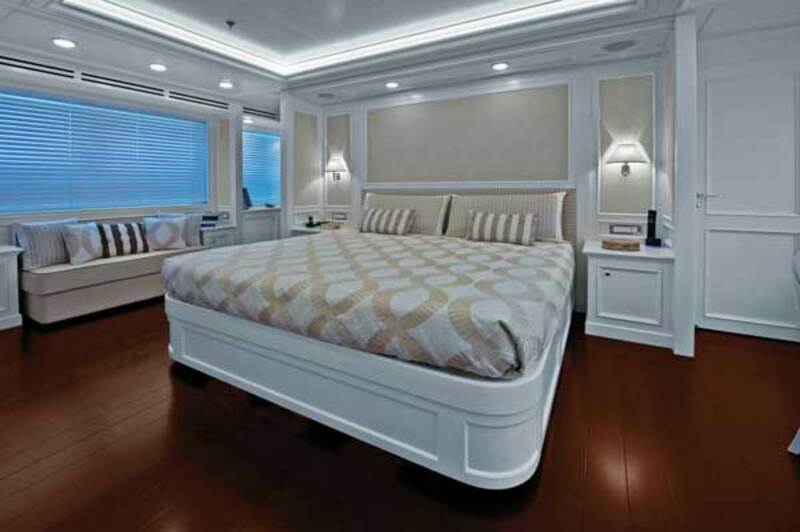 This larger yacht will also include a spa tub forward on the sundeck. 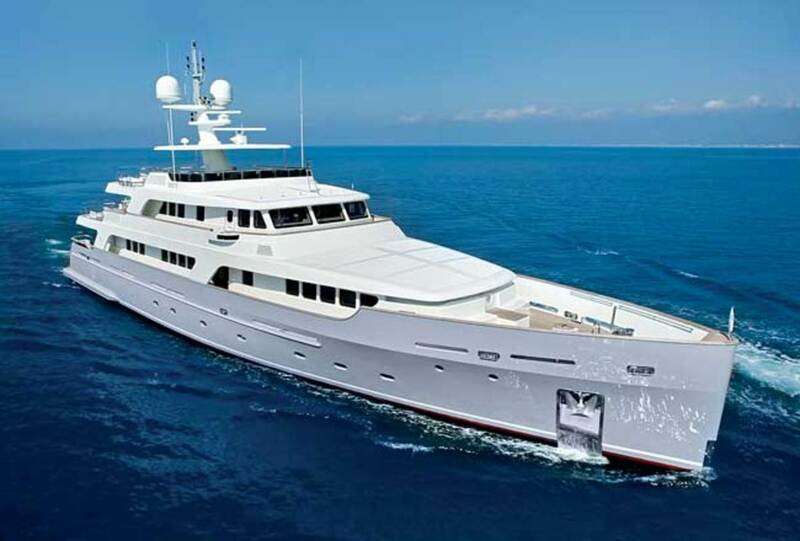 Codecasa carries out its own naval architecture in-house, resulting in yachts that are extremely well-engineered with safety features that often exceed class requirements. Comfortably classy and reassuringly reserved, the Vintage series is for owners who prefer leisurely cruising at displacement speeds on oceangoing yachts that are immutably elegant.